They came for the bourbon. Not just any bourbon, but the world’s most elusive bourbon, Pappy Van Winkle. Of course, there were other reasons for joining our most recent On The Road culinary adventure to Louisville, Kentucky. We had several highly acclaimed chefs lined up to prepare elaborate dinners with wine and bourbon pairings, a pop-up cooking demonstration including lunch at an emerging artisan’s warehouse location, and brunch with a pastry demonstration by a French chef. Yes, I am sure the itinerary excited even the most discriminating traveler, but I know that for many of our guests who traveled from as far away as California, Florida, New York, and Tennessee, the opportunity to hang out with the legendary Julian P. Van Winkle, III and to sip and savor his new release of very exclusive bourbon was the primary reason they ventured the distance to Louisville. 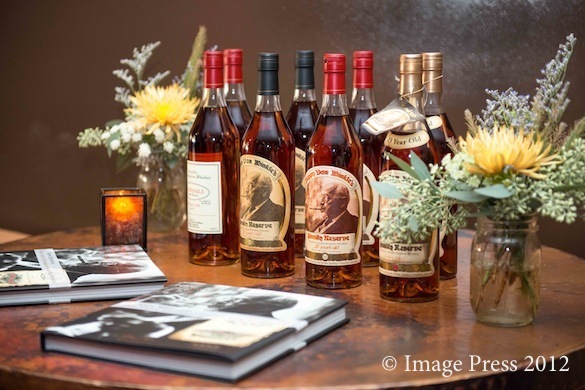 There were calls and emails prior to the trip from several of our guests asking if any of the Pappy Van Winkle bourbons would be available for purchase if they attended the event. Julian P. Van Winkle, III hears that question at least 100 times a day, so with some trepidation, I sent him an email inquiring as to the availability of his cultish bourbon. The response was vague, yet somewhat encouraging, as I passed it along to the attendees. As with all of these adventures, there is much anticipation and excitement prior to the event. The planning time is long and involved, details are tedious, and the expectations are high. Menus are finalized, wines and spirits ordered, chef’s schedules coordinated, final numbers given, event locations prepared, and hotel reservations confirmed. 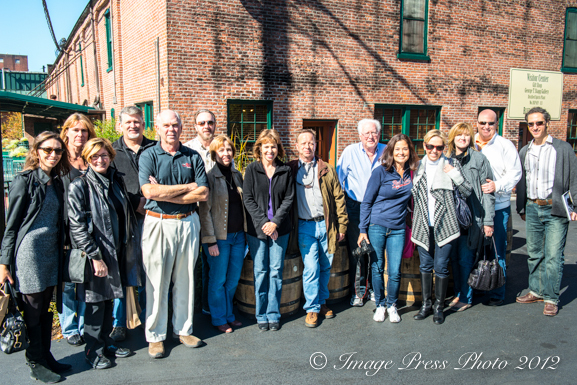 You cross your fingers, keep the faith, and look forward to meeting and sharing with new friends who are interested in learning about special culinary destinations, great chefs, food artisans, and who anticipate extraordinary food and sipping fine bourbon and wine. The guests begin to arrive at Seviche, A Latin Restaurant, on Monday evening. We know Chef Anthony Lamas well and he has become a good friend. He is stoked and ready to put on a phenomenal event. The Pappy Van Winkle Bourbon Dinner is the perfect way to kick-off our second culinary tour in Louisville. 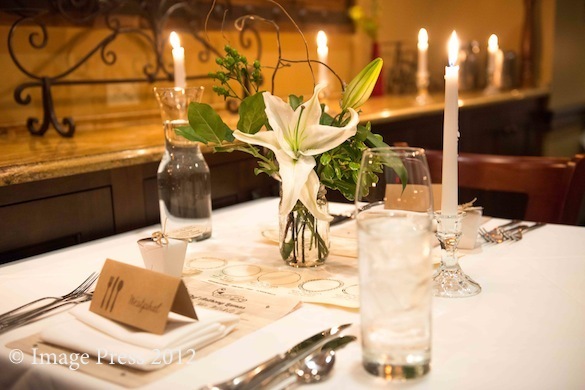 The private dining room, softly lit with candles and accented with white lilies on the tables, is beautifully set for the evening. The menus are creatively designed and placed at each seat. Chef Lamas and his staff have gone above and beyond to make this an extraordinary event. We begin to see familiar faces arrive from last year’s adventure to Louisville and introduce ourselves to the new guests who have joined us for this tour. A Bourbon Old Fashioned, featuring Pappy 10-year bourbon, awaits the guests as well as some of Lamas’ favorite spiced up hors d’oeuvres. Anthony takes our guests on a behind the scenes tour of Seviche’s kitchen and we meet the staff that will be preparing and serving the evening’s dinner. 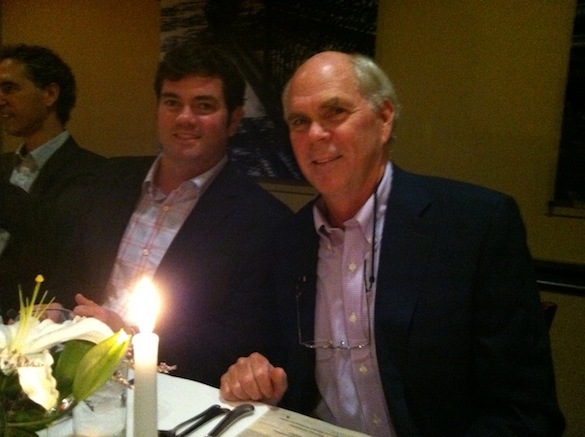 Julian P. Van Winkle, III and his son, Preston, 4th generation of the Old Rip Van Winkle legacy, have arrived. Likened to rockstars, they are the special guests of the evening and are looking forward to Chef Lamas’ dinner paired with five of their small batch bourbons. They mingle with guests and we all take our seats in anticipation of a very special experience. This dinner was to be the official release of this year’s Pappy. However, the release date for 2012 has been delayed almost two weeks, so Julian Van Winkle supplied us with bourbon from his personal stash, ranging from the Old Rip Van Winkle 10-year, 107 proof with “notes of toffee, maple syrup, and dark fruit” to the Pappy Van Winkle’s Family Reserve 23-year, 95.6 proof boasting “caramels and cream with a touch of oak and a great nose.” My personal favorite, savored until the last moment, was the 90.4 proof 20-year Family Reserve that showed a butterines in taste and character. Chef Lamas and his culinary team put together an outstanding five-course dinner to complement each bourbon, incorporating additional bourbon in several of the dishes. Each course that arrived was more impressive than the prior one, concluding with an unexpected and delectable dessert, Fois Gras Apple Bread Pudding with Bourbon Dulce De Leche, Marcona Almond, and Horchata Ice Cream. 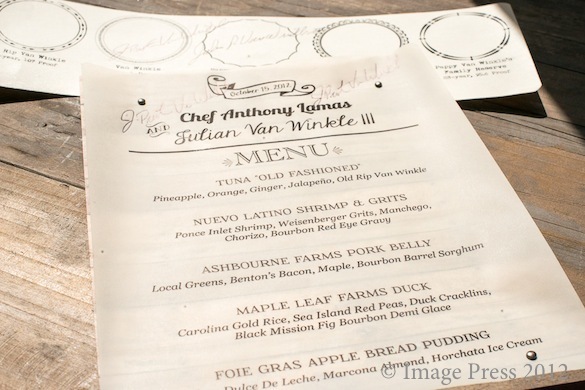 Every dish paid homage to Southern ingredients and Kentucky bourbon along with the addition of a bit of spice and heat from Chef Lamas’ Latin culinary heritage. I want to go back. now. Gwen, you and Roger do such a fantastic job – the photos, writing, video soundtrack – it’s all perfect! Thank you for a wonderfully delicious 2 days. Thank you for your comments. It was so nice to finally meet you and I am glad you enjoyed the trip. We hope to see you again next year! For my birthday this year, my Wife treated me to the Bunkycooks culinary adventure in Louisville on October 15-17. From the opening hors d’oeuvres Monday night at Seviche to the last morsel of proscuito at the breakfast Wednesday morning, the entire event was carefully planned and perfectly executed. Overall it was the perfect synthesis of three talented chefs with great personalities, the fun of being with an internationally famous celebrity producer of bourbon, interesting pairings of food with bourbon and wine, and a congenial group of people who truly like good food. My favorites were Anthony Lamas’ bread pudding (with bourbon sauce), Bobby Benjamin’s unusual approach to coq au vin, his brown butter foam and the surprising ball of bleu cheese ice cream with a hard chocolate shell. Kudos to Gwen for a truly memorable event. Thank you so much for the kind words. It is rewarding to see the efforts of everyone involved be appreciated and enjoyed. We work to make these events special for our guests and it is nice to know that you felt that way, especially on your birthday! Jim and I were very excited when we learned that this adventure was going to take place in our home town. We hope that all attending were able to experience the beauty of Kentucky as well as the warmth of people in Louisville. The culinary experience was over the top. Chef Lamas, Chef Benjamin and Chef Maurais prepared spectacular dishes for us. The opportunity to meet Julian Van Winkle and Preston Van Winkle was a real treat. 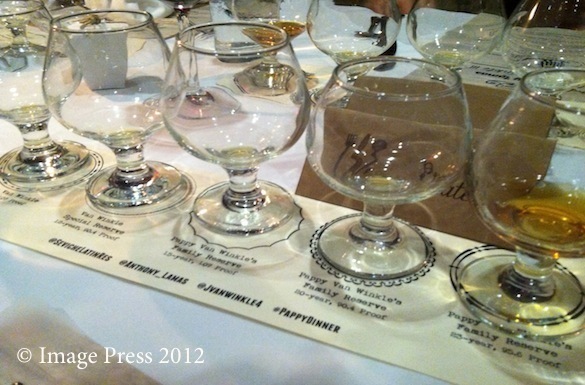 On top of that to be able to taste all five of the Van Winkle bourbons is a very rare treat indeed. Perhaps the best part was spending some great time with my sister and brother in law (Debbie and Tom). Thanks to Gwen and Roger for all their planning. A great fall adventure for all!!! It was so nice to meet you and Jim and we were glad that it worked out so well for you all to come with Debbie and Tom. 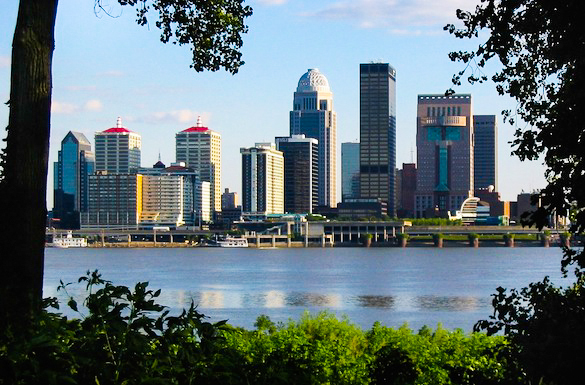 We love Louisville and are glad that you had so much fun in your own town. We hope to see you again next year! Nice and interesting read. Glad you had a good time in Louisville, my hometown. BTW it is Frankfort, KY not Frankfurt (although most of us pronounce it that way). We love Louisville. The city has been great to work with and we hope to come back again in the future. Thank you for pointing out the spelling of Frankfort. I have made the correction.